Afternoon tea for all our volunteers was the order of the day, following our last lecture of the season on 1 July. 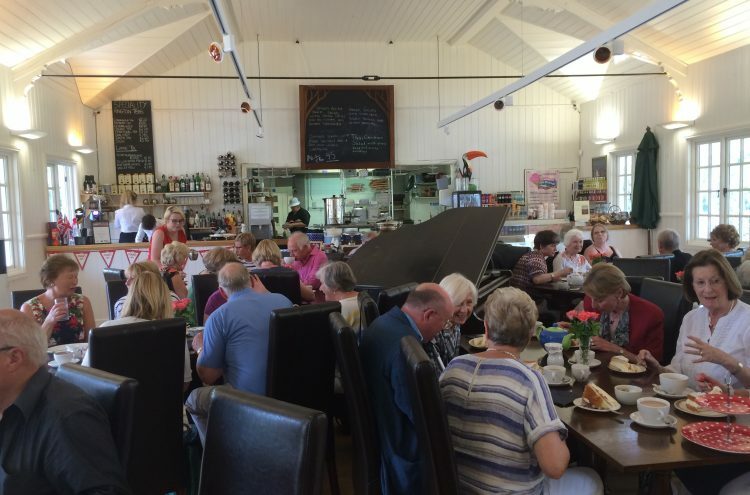 We retired to the Pavilion Café in St Annes for cream cakes and tea, and a lot of chat. Our Society is very lucky in having a large team of helpers willing to assist with various tasks that help in the smooth running of lectures and events. We could not do without them and we would like to offer a big thank you to them all. Thank you! If you would like to volunteer in any capacity please do make yourself known when we re-commence our new season of lectures in October. It’s a great way of meeting new people and assisting in the smooth running of Fylde DFAS.